Chimney Shadows Cabin Rentals in the Blue Ridge Mountains of North Georgia ...."The best little Vacation Rental Secret in the area." Why pay more for Helen GA cabins? We have two cabins that we own and rent in the Helen, Georgia area. You pay no extra for management and booking fees. Book your Helen Georgia cabin Today! Two SECLUDED Helen Georgia Cabins with HOT TUBS, Jacuzzi's, fireplaces, mountain views, near Chattahoochee river and Unicoi State Park in the North Georgia Mountains. Why Pay More for Helen GA Cabin Rentals? Rent these Helen, Georgia Cabins Direct from the Owner. "Come stay a while and relax in a cabin in the mountains of North Georgia"... Click on photos above for interior photos. Are you looking for a cabin rental in Helen, GA? There is no place quite like Helen, GA for North Georgia Cabins. Many folks that come here find pleasure in our quiet harmony with nature, many come back year after year just for the breathtaking scenery, while some folks love Alpine Helen and of course don't forget Oktoberfest. Chimney Shadows Cabins are about five miles northeast of the quaint German style tourist hotspot of Helen, Georgia and is the perfect place to reside during your visit to the Blue Ridge and Appalachian Mountains. These Helen Georgia Cabins are centrally located to Blairsville, Blue Ridge, Dahlonega (Gold Rush), Ellijay, Hiawassee (Georgia Mountain Fair), and Sautee Nacoochee, GA.
Chimney Shadows Cabins in Helen, GA are privately owned and family operated Helen, Georgia Vacation Rentals. These Rental Cabins in the North Georgia Mountains are deluxe mountain rental cabins, near Helen Georgia in the Sautee Nacoochee area, at a very affordable price. Chimney Shadows cabins are for those of you who wish to enjoy all the comforts of home while on your vacation in the North GA Mountains without paying an arm and a leg. Located near Unicoi State Park, minutes above Helen Georgia, these cozy Rental Cabins have ALL of the necessary "easy" life features. "No Roughing it here". Click Photos to view a few of my favorite spots in the North Georgia Mountains. These beautiful Helen Georgia cabins in the North GA Mountains are located near Unicoi State Park & Lake home of the spectacular twin waterfalls, Anna Ruby Falls, and Smith Creek, where you will find some of the best trout fishing in the area. Helen GA is also centrally located to some of the best Fly Fishing in Georgia. The upper Chattahoochee River flows through the center of downtown Helen. Here in the mountains of North Georgia you will also find many miles of hiking trails including the Appalachian Trail and the trails at Raven Cliffs Falls, many rivers, mountain streams, and lakes. 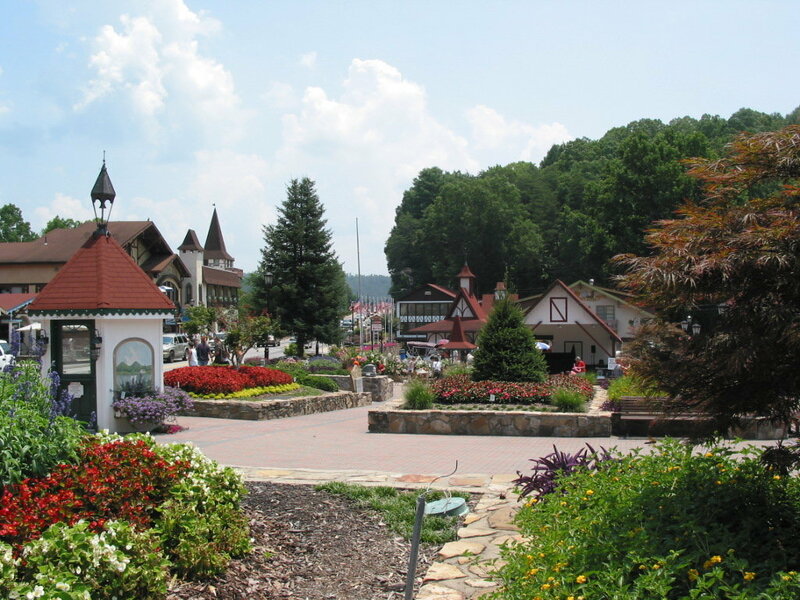 But most of all, Helen, GA has lots of fresh mountain air to help get that "Only In The Mountains." attitude adjustment. Get off the beaten path and do not miss the many Waterfalls of North Georgia and the many Hiking trails of North Georgia. "Helen is not just about downtown Helen anymore. It is about the Great outdoors." Get up to North GA and rent a cabin in Helen." So whether your passion is exploring the great outdoors, horseback riding, mountain biking, relaxing in a local spa, playing a round of golf at Innsbruck, climbing to the top of Brasstown Bald (the highest point in Georgia), sampling the wine at Habersham Winery, Frog Town Winery, Wolf Mountain Vineyards, or Three Sister's Vineyards, sampling the unique German cuisine in Downtown Helen at Hofer's Bakery or shopping for souvenirs in North GA, we have the perfect place for your stay, Chimney Shadows Cabin Rental of Helen GA. We are so sure you will enjoy your stay so much that you will come back again and again. Just click the picture to the right and see what else Helen and the North Georgia Mountains have to offer. Be sure to book your reservation with Chimney Shadows Cabin Rental today! to book your North Georgia Mountain Cabin in Helen Georgia today.